Preventative maintenance on your schedule. Just like any other high-performance machine, electrical systems need regular preventive maintenance and monitoring to keep them running safe and sound. Inadequately maintained electrical systems are a leading cause of business interruption, poor energy efficiency, fires, equipment wear-out and breakdowns, all costly problems. Regular and routine maintenance is extremely important. Preventive maintenance should be performed at least every three years. An effective electrical preventative maintenance program can reduce your risk of unscheduled outage by as much as 66% according to the statics from the Institute of Electrical and Electronic Engineers. Focus your electrical preventive maintenance program on the most common and frequent problems leading to electrical fires and equipment failures. This includes inspections and preventive measures to ensure electrical apparatus is kept clean, cool, dry and tight. 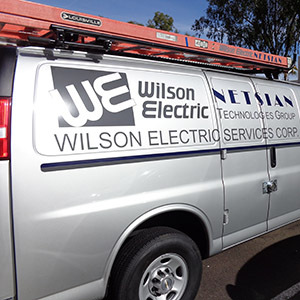 Electrical system maintenance increases safety and decreases losses. Thermography to identify potential electrical equipment issues. This non-invasive scanning can increase the reliability and efficiency of equipment, reducing breakdowns and stoppages and significantly reduce maintenance costs and production losses. HIPOT Testing provides in-depth reports that determine deterioration levels of electric insulation and help maintain personal safety and power reliability.